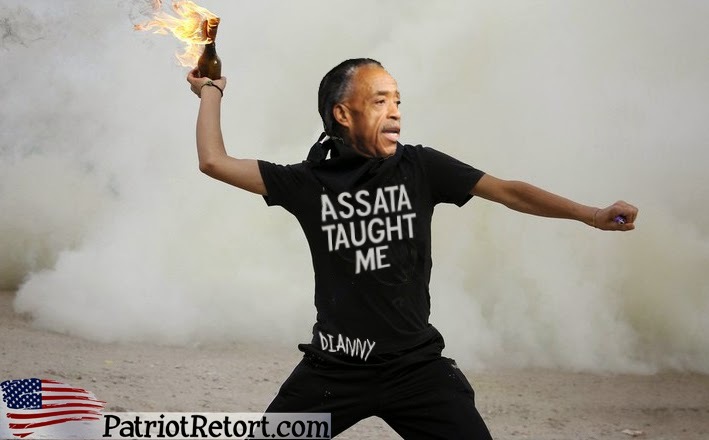 Leaders of the “Black Lives Matter” movement are obliquely endorsing killing cops and rioting as legitimate forms of political activism as the radical community organizers of the so-called Black Spring ramp up political violence and civil unrest. For example, on-the-record statements by Twitter stars DeRay Mckesson, 29 and Johnetta Elzie, 26, are all over the Internet. 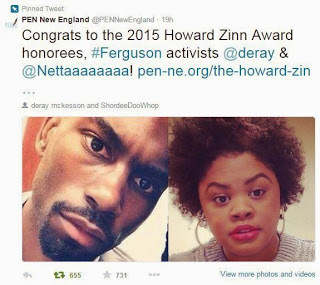 Mckesson (Twitter handle: @deray) and Elzie (Twitter handle: @Nettaaaaaaaa) are influential activists who have become legacy-media darlings by using social media to push their racial-grievance agenda. Mckesson and Elzie believe that the legacy of Martin Luther King Jr. has been distorted. But they “frequently point out that King was in fact a revolutionary who believed in the power of confrontation, and that it’s a crime against American history to confuse the real King with an appealingly passive one,” Kang writes. “If you bring up nonviolence as the only civilized way to effect change, they will recite King’s words: ‘A riot is the language of the unheard,’ or they will say they don’t condone rioting, but they understand it,” he writes. Understandably, the article doesn’t bother to explain the historical significance of Shakur, a black fugitive from American justice who was long ago granted asylum by Communist Cuba. Doing so would disrupt the narrative that dogmatically reinforces the idea that Black Lives Matter must be viewed by all as a noble, nonviolent movement and that any suggestion to the contrary is inherently malevolent and racist. The left effected the same kind of whitewash with the rapists and fire-bombers of the ridiculously violent Occupy Wall Street movement even in the face of overwhelming evidence of rampant criminality among its activists and supporters. While she was wanted in 1973 for a crime spree that included bank robbery and murder, police pulled over Shakur and two accomplices on the New Jersey Turnpike for a busted tail-light. As the two others opened fire, Shakur hopped out of the vehicle. While white state trooper Werner Foerster fought with the driver, Chesimard seized Foerster’s service revolver and put two rounds in his head execution-style. Two years after being sentenced to a term of life imprisonment plus 33 years, she was sprung from prison by persons unknown. She fled to the welcoming arms of Fidel Castro. Shakur has since become a role model for radicals everywhere. She may even be in the process of becoming a black female version of the world’s most popular tee shirt salesman, the late Argentinian-born Communist terrorist and mass murderer Ernesto “Che” Guevara. If reporters nowadays applied the same journalism standards to the killing of Tupac Shakur that they use when reporting on left-wing protests, they might very well characterize the performer’s encounter with his killer as a “mostly peaceful” event. After all, the actual gunfire occupied only a tiny portion of all the time involved in nonviolently stalking the victim, blasting him into eternity, and then nonviolently fleeing from the scene — and for all we know the murder was intended as a statement of some kind that community organizers might in theory defend as political expression. This sort of tongue-in-cheek formulation isn’t quite as crazy as it sounds. In topsy-turvy Baltimore during the recent riots that followed the suspicious death in police custody of young black arrestee Freddie Gray, Mayor Stephanie Rawlings-Blake, welcomed criminal gangs and radical groups into city government. The Democrat who proudly boasted that she protected the First Amendment right to protest by providing space to those who “wished to destroy” local businesses, has partnered with the Crips, Bloods, Black Guerrilla Army, and Louis Farrakhan’s Nation of Islam in what some might consider an unorthodox effort to maintain civil order in that city. It’s not working so well as the recent epidemic of murders in Baltimore attests. By October, the protest community became both highly organized, as actual organizations began to form and solidify, and more thoughtful and conscious about the symbolism and intent of protest actions. 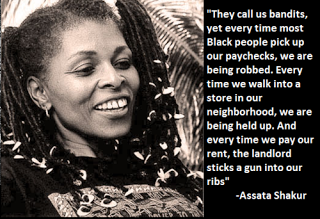 Whether invoking Assata Shakur’s, “We have nothing to lose but our chains,” or Dr. King’s, “Injustice anywhere is a threat to justice everywhere,” the protest community actively began to shift to speak to larger narratives of social justice, while situating Ferguson as the site of resistance. In a telling April 28 interview with CNN’s Wolf Blitzer, Mckesson glibly dismissed the widespread looting and destruction of private businesses that authorities allowed to happen in Baltimore as trifling. Mckesson, who was identified on-screen as a “community organizer,” was active in protests last year in Ferguson, Mo. after black teenager Michael Brown was killed as he attacked a white police officer. There’s been a lot of positive demonstrations over the past couple months here in Baltimore and across the country because the police have continued to kill people. Tonight will be another night where people come out in the streets to confront a system that is corrupt. Yes, for sure. And remember the people that have been violent since August has been the police. We think about the 300 people that have been killed alone, that is violence. Property damage here that’s been really unfortunate over the past couple, for a day or so here. There have been many days of peaceful protests in Baltimore City and places all around the country. “There should be peaceful protests,” Mckesson said, paying lip service to nonviolence. I don’t have to condone it to understand it, right, that the pain that people feel is real and you are making a comparison. You are suggesting this idea that broken windows are worse than broken spines, right? And what we know to be true is that the police are killing people everywhere, killing people here, six police officers were involved in the killing of Freddie Gray and we’re looking for justice there. And that’s real, right. Like the violence that the police have been inflicting on communities of color has been sustained and deep. What I agree with is that I advocate people to peacefully protest and know that pain manifests in different ways and I don’t have to condone it to understand it. People are grieving and people are mourning. And I would advocate personally for people to do it in ways that you are calling ‘peacefully.’ I know that Freddie Gray will never be back and those windows will be. Distracted from progress is when city officials get on TV and call black people in pain “thugs,” right? That’s a distraction. I think that the unrest, the uprising, whatever you call it, is again a cry for justice here and a cry for justice across the country because police continue to terrorize people. The terrorizing is actually deadly. Broken windows are not broken spines. People are in pain. So I think that the president, I hope that he understands the conditions that created the unrest and continue the unrest not only here in Baltimore but across the country. Freddie Gray will never see another day and neither will Tamir [Rice, who was shot to death by Cleveland Police,] or Mike Brown. We are peaceful. We discipline ourselves and remain resolutely confident in the righteousness of our cause, even in the face of weapons of war. We ensure that actions remain peaceful, purposeful, and focused on our message, not on chaos. That we must continually remind and convince the public of our peaceful stance is disheartening. We are so often irresponsibly labeled as thugs by those who would – consciously or not – use our peaceful protests to revive the myth of the violent black savage.